Time to mark your calendars. 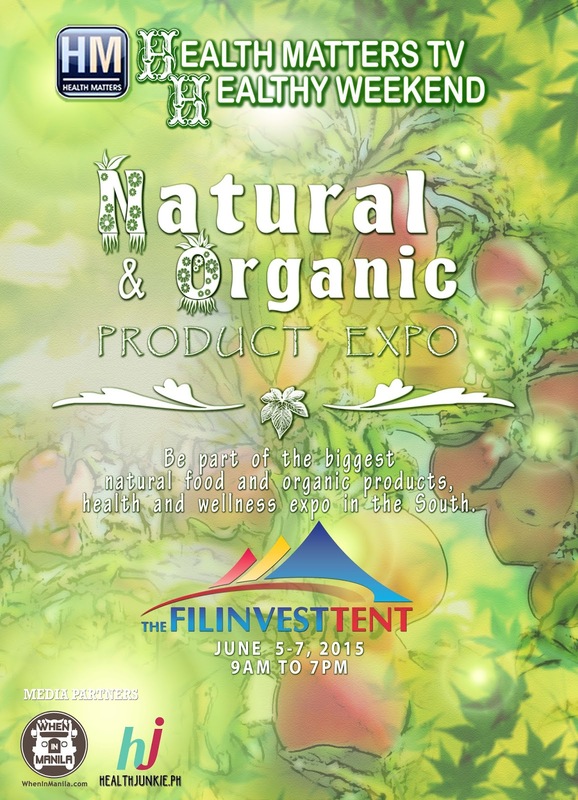 On June 5-7, 2015, Filinvest Tent and Health Matters TV will host Natural and Organic Expo. Southern Manila is a haven for the posh elite, young urban professionals and families and expats who lead active lifestyles, pro-health, and pro-environment. 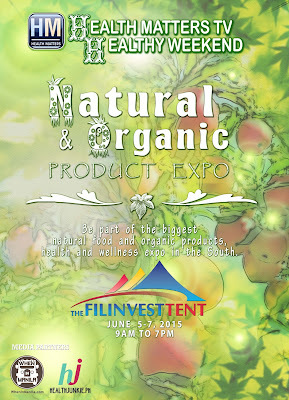 This renewed interest in keeping fit and the latest health trends that have become viral thru social media has spurred us to come up with the first Natural and Organic Products Expo at the Filinvest Tent on June 5 to 7.